For Gold Coast pest control services like no other, consult Impressive Carpet Cleaning and Pest Solutions. This company has been in the industry for more than 35 years. Indeed, this is a seasoned service that will tackle all your pest problems on the Gold Coast. In addition to the wealth of experience they bring to the table, there are many other reasons why choosing this company is beneficial. No matter how clean your home is, there are pests that simply won’t go away. A good example is cockroach infestation. The reason why it is so hard to eliminate these pests is that they multiply alarmingly fast; they also survive in most conditions. You can only do so much; and there comes a time when hiring professionals is the only way out. If you have a pest issue, below are good reasons why this service is the right choice for you. 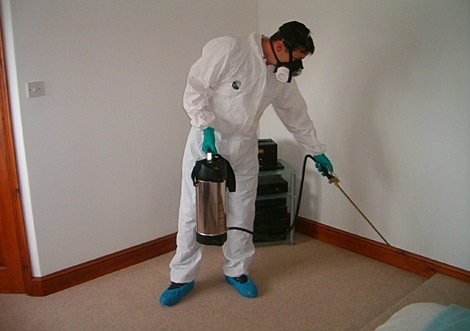 Impressive Carpet Cleaning and Pest Solutions offers top notch services. The quality is impressive, to say the least. When you have an issue with pests, this service will do a thorough analysis to find out which pests are bugging you. Upon confirming the offending pests, a plan for execution will be put in place to eradicate the problem. Therefore, this company has knowledgeable technicians who are highly experienced to give you quality services. In addition, the tools and products used to eliminate pests are of high quality for effective results. This company uses biodegradable products to eliminate your pest problem. There are no harmful substances or chemicals used in your house. To this end, you do not have to leave your house when the operation is going on. Furthermore, this company adheres to high standards as recommended by Australian provisions. In light of this, you will enjoy pest control services that will leave you and your family safe and happy. When you contact the company with a pest problem, the friendly staff will only be too eager to guide you. The drivers and technicians are uniformed, certified and licensed to give you exceptional services all the way. Therefore, if you have seen a roach too many times roaming around your house, do not ignore it. In fact, getting help early will help prevent a full-blown infestation by pests. From ants to mice and spiders, feel free to contact the company; because we have the expertise of dealing with a wide array of pests on the Gold Coast. This company will not just help you get rid of pests in your home, it offers a myriad of other services for your home. If you need carpet cleaning, grout and upholstery cleaning, this is still a one-stop shop for your needs. Your home is the most precious retreat and dirt and pests can threaten the peace. In this respect, always give your family what they deserve by providing that clean, pest-free homely environment. The above-named Gold Coast pest control service will definitely hold your hand along the way.